Enjoy a full fledged database backend. No coding involved. 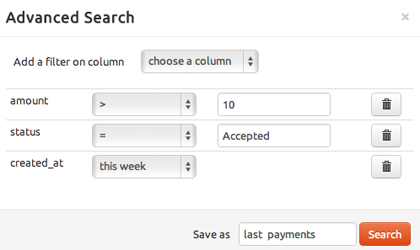 Perform search on all your table columns or configure which fields are searchable. For complex queries, including date range for example, you can easily build custom queries and save them for later access. Do you follow standard conventions or have foreign keys defined? 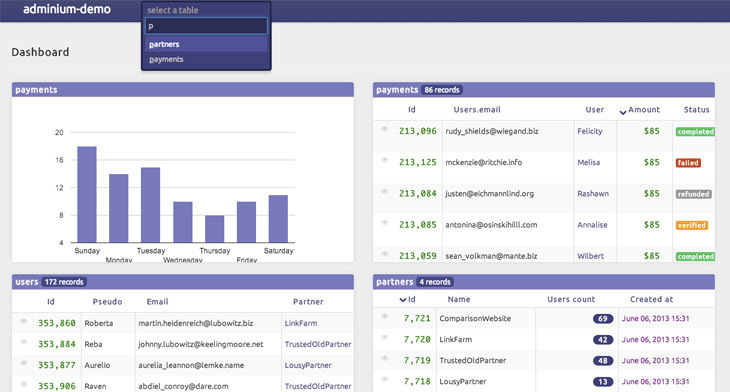 Relationships between your tables will be automatically discovered so you can easily explore and manage your data without ever thinking about primary keys. 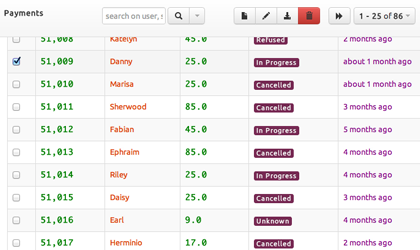 Want your client or coworkers to have access to Adminium? You can invite them to your project. 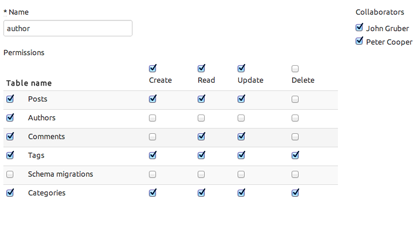 Moreover, you can assign them roles and configure precisely on which tables they can see, edit or create data. You can map values from your database to human-readable labels for better rendering and easier filtering or edition. There is a lot more! Check out the docs. Thx to @admi_nium for an awesome #herokuaddon and saving us a bunch of time on our backend admin dev, allowing us to focus on customer UX! Works with both PostgreSQL and MySQL. 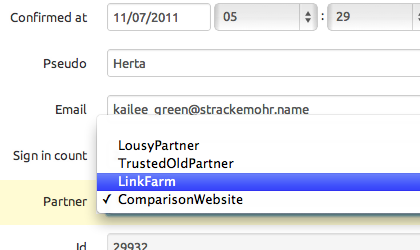 Available on Heroku as an add-on. All plans come with full support. You can upgrade or downgrade anytime. Available only to collaborators of Enterprise accounts.